Baby or deciduous teeth have similar anatomy as adult teeth except the enamel is not as strong quality as permanent adult teeth. So they will tend to wear and decay more easily. The whiter the tooth, the weaker it is. They exist to allow the very young person to start eating solids and to maintain the bite till jaws and face continue to grow to make way for the developing adult teeth. There are 20 “milk”, or deciduous teeth in the mouth. They appear in the mouth from 6 months to 2 years. Incisors (8 total): the four central front upper and lower teeth, used to bite into food. These teeth have incisal edges and a cingulum. Canines (4 total): these lie just outside the incisors and are quite pointy and bulbous when they first erupt. They have one cusp and often a cingulum. 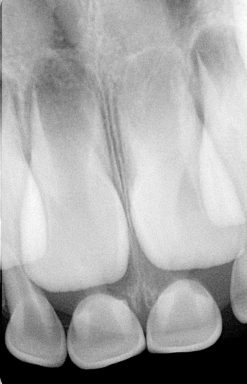 Deciduous First Molars (4 total): these lie next to the canines and have 4 cusps. They are usually square in shape. 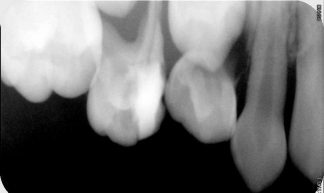 Deciduous Second Molars (4 total): the large rectangular teeth at the back of the mouth used for grinding down food. They often have four cusps. 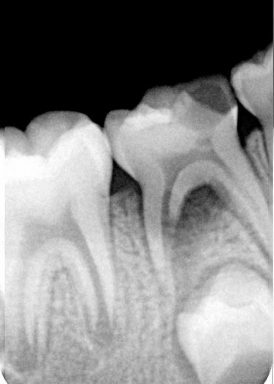 They are sometimes called two year old molars. Remember at age 6 years old, the first permanent molar comes through behind the baby molar. It looks similar to the baby tooth but the 6 year old molar is an adult tooth and is larger in size. IT WILL NOT BE REPLACED! All teeth need roots to be held in the bone, but with baby teeth all the molar teeth roots allow for the new adult premolars to come through underneath. The roots appear to look like claws. The body decides when to the resorb, or dissolve, the roots of all the baby teeth, when the new adult teeth come are coming through. Baby teeth start to fall out from 5 ½ – 12 years old. Sometimes the baby teeth DO NOT have a new adult tooth underneath, due usually to genetics, and then the tooth is usually kept. More on this in a later blog post! There is a South American custom for the mother to keep all the baby teeth and have them polished and be made into a pearl-like looking necklace. You will always have a part of your child with you always… especially with evening wear!